What does liability insurance cover and how much does landlord liability insurance cost? Learn the full answers here. Liability insurance protects landlords against financial losses incurred by tenants filing lawsuits against them. If a tenant or a visitor was injured on your rental property, and the injury was due to the landlord's negligence in maintaining the property... then they can file a personal injury lawsuit against the landlord. Similarly if the landlord's failure to maintain the property led to the damage or loss of a tenant's possessions, the tenant can also sue the landlord for negligence and claim for damages. Liability insurance covers the landlord for any court fees, legal fees and monetary damages awarded to the tenant (e.g. medical bills, loss of income, physical suffering, emotional trauma and personal property loss). How Much Does Landlord Liability Insurance Cost? Your standard landlord insurance will typically come with $100,000 to $300,000 of general liability insurance coverage. We recommend a minimum coverage of $100,000 for most landlords. If you own larger rental property with 4 or more units, then you should consider having at least $300,000 worth of coverage. Since general liability insurance is already factored into your monthly landlord insurance premiums, there is no additional cost for it. However if you're like us and frequent landlord forums, then you will learn that some experienced landlords insist on having at least $500,000 to $1,000,000 of liability coverage. To boost your coverage, you can consider buying an umbrella liability insurance. Umbrella liability insurance is extra coverage that kicks in if the liability losses exceed your basic liability protection. Example: Your landlord insurance comes with $300,000 of liability cover and you purchase $1,000,000 of umbrella liability cover. A tenant sues you in court, costing you $500,000 in fees and damages. Your landlord insurance will pay for the first $300,000 while the umbrella liability cover will settle the remaining $200,000. 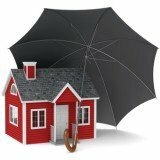 Umbrella liability coverage begins at $1,000,000 and can go up to $10,000,000. 1 million dollars of liability protection is sufficient for almost every landlord and will cost about $150 to $200 per year.